To the surprise of the pollsters, the media, the political class and arguably most of the British public, Brexit won by 52% to 48%, or by 1.3 million votes. It has been a divisive vote, pitting London, Scotland and Northern Ireland against the rest of England and Wales, the young against the old, the university educated against those without degrees, and the winners versus the losers in today’s neoliberal globalising world. It is a revolt against the status quo, and a stark warning that the have-nots will no longer tolerate being ignored. Where do Britain’s Muslims fit into this? After all, in economic terms, 46% of British Muslims live in the bottom 10% most deprived wards in England and so are squarely among the have-nots too. They might have been expected to have voted for Brexit too, if they had perceived the EU to be the cause of their lack of life chances. But they mostly did not. In fact, 70% of Muslims voted for Remain, in line with some other minorities like Asians in general (67%) and Blacks (74%), and more so than did London (60%), the Scots (62%) or the Northern Irish (56%). The reason why Muslims voted overwhelmingly for Remain is obvious. The Leave campaign won not only by pledging to reduce migration and take back full border controls from the EU but it did so in a way that played into race politics. Examples from the campaign include the argument over Turkey joining the EU, the infamous UKIP ‘breaking point’ poster showing Syrian refugees on the Croatia-Slovenia border and the claim that Muslim paedophiles would flood into Britain – and so it continued for months on end. Every far-right group in Britain and the rest of Europe has welcomed the Brexit result and social media is now awash with accounts of emboldened bigots telling Poles, Muslim school kids or mosque-goers to get out of Britain. For more examples, see the hashtag #postrefracism on Twitter. The Brexit victory has empowered the bigots in our society, not placated them. And to their credit, most British Muslims in straitened circumstances did not buy into the canard sold to their fellow have-nots that leaving the EU would solve all their problems. At the moment British politics is in turmoil. There is a good chance that Brexit will break up the United Kingdom. Scotland is seeking to remain in the EU and will most likely go for another independence referendum. The prospect of re-imposing full border controls between Northern Ireland and Eire imperils the Good Friday agreement: Sinn Fein has called for a border poll on a united Ireland. At the time of writing, Prime Minister David Cameron has resigned, there is a coup attempt underway by the Parliamentary Labour Party to oust the Leader of the Opposition, Jeremy Corbyn, and the leading Leave campaigners, Boris Johnson and Michael Gove, have gone into purdah. There is a vacuum of political leadership. The turmoil has spread to the markets with a run on the pound and the prospect of recession and further austerity, with jobs and investment draining away from Britain. All of a sudden the United KIngdom feels like a weak country, defined by uncertainty and plagued by doubt and fear. So, given all this, how should British Muslims respond? Firstly, I think we should recognise that, for those of us who supported Remain and lost, we have been in mourning for the tolerant, open and cosmopolitan Britain that we feel has been wounded and even seriously harmed. Yet our religion teaches that the funeral prayers must be conducted quickly, within three days. Therefore, while we should acknowledge this sense of bereavement we need to bury the result and move beyond paralysis. Secondly, I would advise caution and patience, something that ought to come naturally in the last ten days of Ramadan. The mood is febrile and dangerous at the moment. There is a need for cooler and calmer heads to prevail to avoid making any rash decisions. The goal must be to work out how best to minimise harm for all concerned. We must call on all political leaders to reconcile the nation, recognising that it was a close and divisive result; conversely, we must rigorously call out the politics of fear and division. 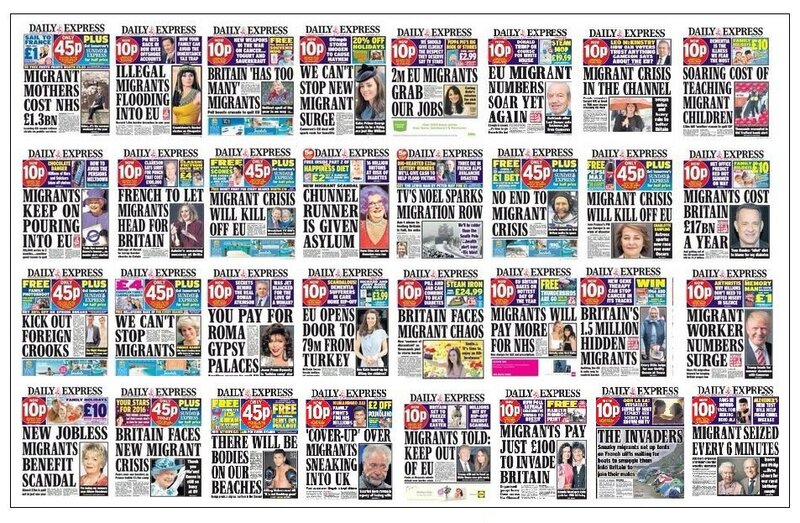 That equally applies to the newspapers, such as the Daily Express and the Daily Mail, which have played a deliberately provocative role in the refugee crisis. Thirdly, we need to seek reconciliation by listening carefully to the concerns of others, especially to those who are most unfriendly or even hostile towards us, and to draw on our teachings of forbearance and hospitality in so doing. We have made some progress in this regard with initiatives such as the moment in 2013 when York Mosque invited Britain First demonstrators inside for ‘tea and football’, repaying confrontation with reconciliation. It is notable how well people thought to be immune to such gestures are in fact highly receptive to them. More of this must be done, and in new and creative ways too. Fourthly, we need to do more to address directly the concerns of the have-nots, both within and outside our Muslim communities. This requires a radical rethink because neither of the two main parties have done enough to prevent our society becoming more unequal despite Britain’s great wealth, thus creating neighbourhoods, towns and even cities of the forgotten and the left behind. And although it is clearly a delicate and controversial subject, the impact of migration on jobs, goods and services must be diagnosed and debated in a responsible way that does not play into race politics. For this change in tone and approach to have any chance of succeeding, BAME and faith communities must now play a prominent role in this debate too. Last but not least, we need to take a stand against intolerance and bigotry towards our community and towards others, and we need allies to do so effectively. Anti-Muslim bigotry has not only passed the dinner table test; every British Muslim knows that Islamophobia has gone viral. It is now everywhere, infecting mainstream politics and society. Muslims are openly blamed for society’s ills and are harassed and confronted on the streets. No solution to our problems can preclude reinstating the taboos to render this acceptable from of bigotry unacceptable and intolerable – whether that will be as part of the UK or some new post-Scotland union. Working towards unity and reconciliation and tackling inequality and bigotry should be some of the important steps we British Muslims must contribute to begin the work of restoring a divided nation and finding an honourable and dignified place within it, no matter what final shape or role in the world these islands find themselves in during the tumultuous years to come. Yahya Birt is undertaking a doctorate in religious studies at the University of Leeds and writes in a personal capacity.